AmigaOS fans may have noticed an abundance of updates appearing lately. There is also an updated SDK should be appearing soon as well. One of the reasons for all this activity is AmiWest 2013. The show itself is October 19 and 20. There is also a “Classic Clinic” on the Friday night before the show where Amiga technicians will be available to help get your Amigas up and running again. AmiWest is also featuring a programming conference from October 16 to 18. The plan is to continue where we left off at AmiWest 2012 and focus on building useful applications with a GUI. It is the programming conference which is driving the bulk of the updates. We want everyone to be at the same API level and have all the latest updates so we don’t waste any time on working around any fixed bugs (for example). Many AmigaOS core developers and beta testers will be attending AmiWest 2013. This is your chance to chat face to face with the experts that are building and maintaining the genuine Amiga Operating System. Hyperion Entertainment is also sponsoring the show and will have a table setup with various AmigaOS-based systems on display. See you there! AmigaOS 4.1 Update 3 has been released! You can find all the details and a place to download the update at Hyperion’s main web site. Special thanks to the AmigaOS development team and the beta testing team for a great effort. This update is rather complex and involves no less than 7 different hardware platforms not including variants. For direct customer support please go to Hyperion’s support forum. Where is AmigaOS 4.1 Update 3? 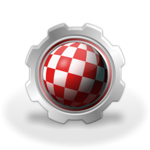 Posted by Steven Solie on August 14, 2011 Comments Off on Where is AmigaOS 4.1 Update 3? I am happy to report that AmigaOS 4.1 Update 3 is finally nearing completion. Release candidate testing is underway so as long as the testers don’t discover any new issues this will be it. As is normal for any complex software effort, there have been some last minute issues that held things back. Most of the issues have been taken care of now. If necessary, we will organize an Update 4 if any major issues are discovered after release. Along with the usual bug fixes we have included a new feature or two along with this update. Other features will be held until the next major release (AmigaOS 4.2) of course. The update will be distributed via Hyperion’s main home page. If you have not created an account and registered your product(s) yet then this is the time to do so. A registered AmigaOS 4.1 serial number is required to download the update. Unfortunately, due to massive spamming of advertising comments on the blog, we were forced to disable commenting entirely. It has become way too much work to moderate all spam and advertisement. Since we want to continue keeping you informed instead of having to sift through comments, disallowing commenting was the only viable option.